The CCMS Circle of Friends program is open to businesses that show they can provide outstanding service and exceptional benefits for CCMS members. Members can call the listed Circle of Friends vendors directly or contact CCMS, 239-435-7727 for further information. Interested in becoming a Circle of Friends vendor? Download our information packet or call 239-435-7727. *The preferred vendor program does not imply endorsement of a company, product or service. Markham Norton Mosteller Wright & Company specializes in tax, accounting and business consulting services for Physicians and Health Care providers. Serving Southwest Florida since 1979, our experienced team can improve your profits and sharpen your competitive edge with a variety of services related to practice operations, strategic planning, human resources, tax planning and accounting services. CCMS members receive a complimentary assessment and 10% off 1st personal tax return. Suncoast Credit Union operates 65 full-service branches with 785,000 members. The Suncoast Foundation has donated over $22 million to community initiatives in the 21 counties the credit union serves. Suncoast Credit Union is committed to providing CCMS members with personalized solutions and expert service. Our business lending, legacy planning, and retirement planning services can help you meet your business needs and achieve your long-term goals. CCMS Members receive a complimentary half-hour consult with the Suncoast preferred estate attorney. Technical Doctor provides HIPAA-compliant IT support, security products and services and is laser focused on healthcare. Established in 2006 in the Chicago area, Technical Doctor expanded to Florida in 2018. Our technicians have multiple years of experience in: Healthcare, Secure Networking, HIPAA controls, Transmission Security, Integration and a high level of customer services to ensure a quick response and educated answers. CCMS members receive a free consultation and a 10% discount on 1st month of IT support service. Anne Fontaine is a French luxury women’s fashion brand. The company specializes in the white blouse and now offers a complete ready-to-wear line. CCMS Members receive $75 off their purchase of $300 or more through 12/16/18. Stay tuned for information on CCMS shopping events for 2019. Attorney Linda Minck provides legal services to physicians and healthcare providers particularly in business transactions such as setting up new practices, buying or selling, employment agreements, and representing physicians with daily legal needs. CCMS members who mention their membership receive a 10% discount. BankUnited has more than $35 billion in assets and more than 100 branch locations and focuses on the financial needs of growing companies and their executives, consumers, and commercial and middle-market businesses in Florida and New York. The bank offers a broad range of online services, treasury management tools for businesses, and traditional depository and lending products. CCMS members receive preferred rates on lending/borrowing and deposit accounts. Biowaste Medical is a leading provider of biomedical and pharmaceutical waste collection and disposal services in the state of Florida. They are headquartered in Naples and have been in business for the past 4 years. Biowaste Medical services a range of medical facilities, including, but not limited to: hospitals, doctor and dentist offices, laboratories, and clinics. All CCMS members will receive a 20% discount from their current vendor’s bill plus 3 free months. BMO Wealth Management provides financial services for physicians and medical practices such as initial free wealth planning consultation, specialized loan programs for medical practices and office buildings, and home mortgage and equity line of credit programs designed for physicians with discounts and higher loan to value guidelines. Equity is a national commercial real estate brokerage, developer, construction agency, and project manager specializing in healthcare and retail clientele and needs. Equity headquarters are in Columbus, OH, including four offices serving Florida with the local office in North Naples. CCMS members receive a free initial consultation as well as an Equity Healthcare gift item upon completed transaction or equivalent amount donated to a charity of their choice. First Citizens Bank is dedicated to building long-lasting relationships with individuals, small-to-midsized businesses, and professionals. Our associates have developed a strong expertise in meeting the financial needs of the medical community. Please contact us to learn more about our great rates, our customized approach to client service, and our comprehensive array of financial products. We would love to earn your business! Leading Edge Benefit Advisors has served the Naples area for over 34 years, providing employee benefit and compensation solutions to local businesses. Leading Edge can offer an industry specific, multiple employer welfare arrangement (“MEWA”), allowing CCMS member private practices the benefit of large group medical insurance with Florida Blue for themselves, their staff, and families. Also available for member practices is an ancillary services store with complimentary Employee Assistance Program. 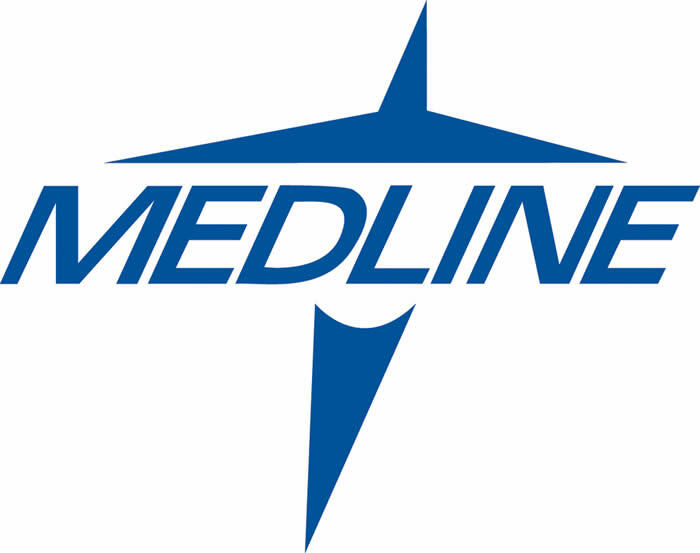 Medline is the largest privately held manufacturer and distributor of healthcare supplies in the United States, providing 500,000 products that serve the entire continuum of care. Medline is a manufacturer direct source of medical equipment & supplies, education (CEUs) and product & sales support. CCMS members receive a minimum of 10% savings in aggregate and standard freight waived for 1 year. We are a boutique financial services firm specializing in working with physicians in the areas of asset protection planning, wealth management and wealth transfer. Through our team of experienced advisors, and our strategic alliances with professionals from other industries, we can deliver customized solutions for our clients. Meridian Financial Group is excited to partner with M Financial in offering innovative financial solutions to the ultra-affluent and corporate markets. Mutual of Omaha Bank is a full service financial institution that offers a variety of products and services. We are a relationship bank that focuses on building lasting relationships to meet our clients’ needs and provide exceptional customer service. CCMS members receive discounts on merchant services, mutual benefit employee free checking, fast app business line of credit, and home equity. Porter Wright works with health care businesses and providers to solve complex legal problems, stay in compliance with regulatory obligations, and take advantage of growth opportunities. From labor and employment law to business law to litigation, our attorneys help health care clients achieve their goals. We are proud to have been members of the Preferred vendors program since 2001. SFG LLC is showing our clients how they can retire comfortably on at least 50% less in assets than they originally thought. We do that by using strategies the tax codes allows us to utilize that have been in the code since 1913 that the majority of the population knows little to nothing about. Complimentary first year retirement analysis, insurance audit, or business audit. The Doctors Company is the nation’s largest physician-owned medical malpractice insurer, with 80,000 members and over $4.6 billion in assets. Discover how we are taking the “mal” out of malpractice insurance at thedoctors.com. CCMS members receive a 5% discount on liability premium. Naples-based, WBN Marketing is a full-service marketing company and leading area provider of website development/search engine marketing. WBN offers expert marketing and branding knowledge for several local core industries, including the medical industry. CCMS members receive 10-20% discount depending on services provided. The Chamber’s mission is to make Greater Naples the best place in America to live and work, and our primary purpose is to foster business development and advocate effective government policy to ensure a healthy business climate. CCMS members who join The Chamber receive a waiver on their membership administration fee. Call today for more information! HIPAA Secure Now! has helped over 2,500 clients with their HIPAA compliance needs in the last five years. HIPAA Secure Now! provides a complete, affordable and easy-to-use HIPAA compliance service. CCMS members receive a 15% discount. Additionally, HSN provides a free HIPAA Hotline for CCMS members – if you have a HIPAA question or issue, just call 877-275-4545 x803. If you are interested in finding out more about the service or for a free demo, contact Jonathan Krasner. Jennifer Bates Photography is a full-service photography studio serving Naples and Fort Myers areas, including Fort Myers Beach, Marco Island, Estero, Bonita Springs and beyond! For all clients who mention Collier County Medical Society upon hiring Jennifer Bates for photography services, Jennifer Bates will donate 100% of their $250 session fee to the Foundation of CCMS. Discounts for CCMS members. their families, and their employees on legal service plans and identity theft plans. Founded in 1972, LegalShield has 1.6 million memberships serving 4.1 million lives and 140,000 businesses throughout the U.S. and Canada. Members can talk to a lawyer on any personal legal matter without worrying about high hourly costs. LegalShield has provided identity theft protection since 2003 with Kroll, the world’s leading company in ID Theft consulting and restoration. CCMS members are eligible for a workers compensation dividend program virtually unavailable to many small businesses. By grouping practices into one entity, members enjoy buying power usually reserved for large organizations. While not guaranteed, dividends over 20% can be received if group losses for the year are zero. 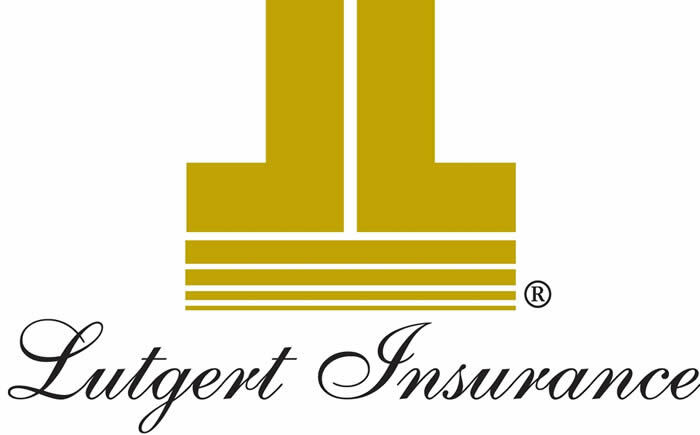 Underwritten by Comp Options Insurance Company, a subsidiary of AmTrust Financial. Also available for CCMS members is a 5% discount on medical malpractice insurance with Healthcare Underwriters Group Inc.
A family-owned and operated, end-to-end IT Consulting firm, Naples Network Services has provided strong partnerships and personalized support for their clients for over a decade. They offer cutting-edge managed cloud services with traditional break and fix solutions for any day to day problem. As a special introductory offer to CCMS members, receive a free consultation as well as 10% off your first service. Testimonial Tree, the leader in testimonial management software, helps physicians gather feedback about patient experiences through 5-star ratings, satisfaction surveys, and reviews. Our platform empowers patients to share recommendations on social media, syndicate testimonials on your own website, and 3rd party review websites. We help you take control of your online reputation and build loyalty. CCMS members receive $50 off the monthly fee. The Print Shop will donate 5% of the revenue of all printing services purchased by CCMS members to the Foundation of CCMS. Additionally, any CCMS member wishing to acknowledge their membership in CCMS can have the CCMS logo printed on their letterhead, envelopes, business cards, etc. for free. The Print Shop is the only graphic media company in Collier County with four locations.